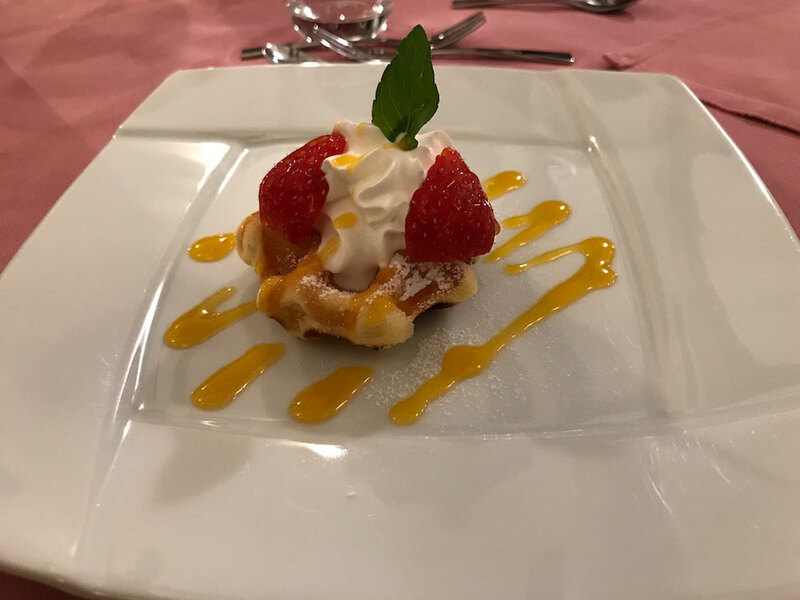 I went to "bonnfemme", a pension in Yugawara Town, Kanagawa Prefecture, Japan, at the event planned by Tennis Shop LAFINO . It has two grass tennis courts. The feel of a grass court is soft. 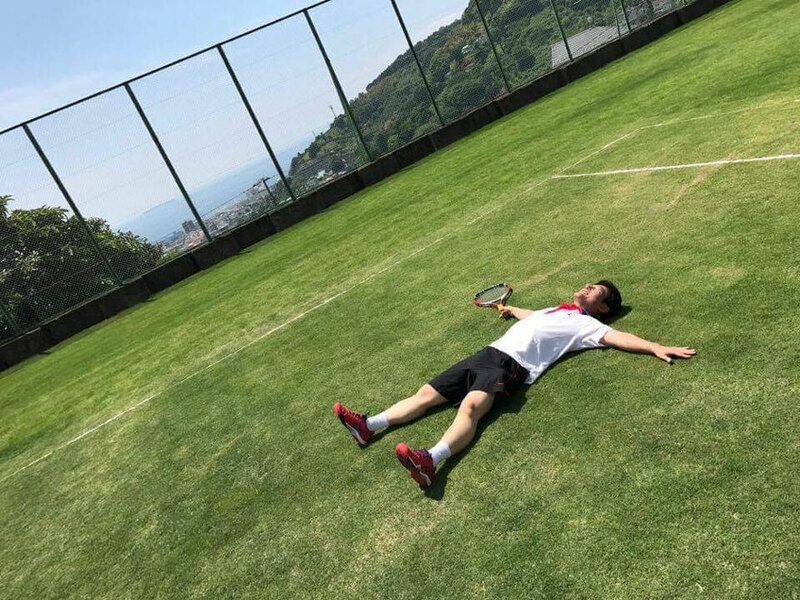 I snuggled down in grass court without even thinking. When tennis ball bounced, the force of it got weak. But the speed of tennis ball became quick, when we hit a serve or a slice. 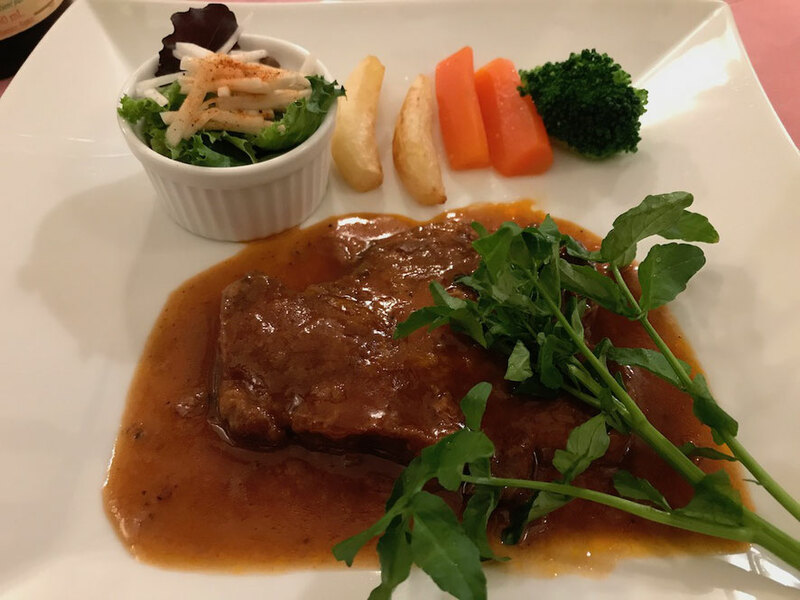 We had a hard time because tennis ball often took bad hops. 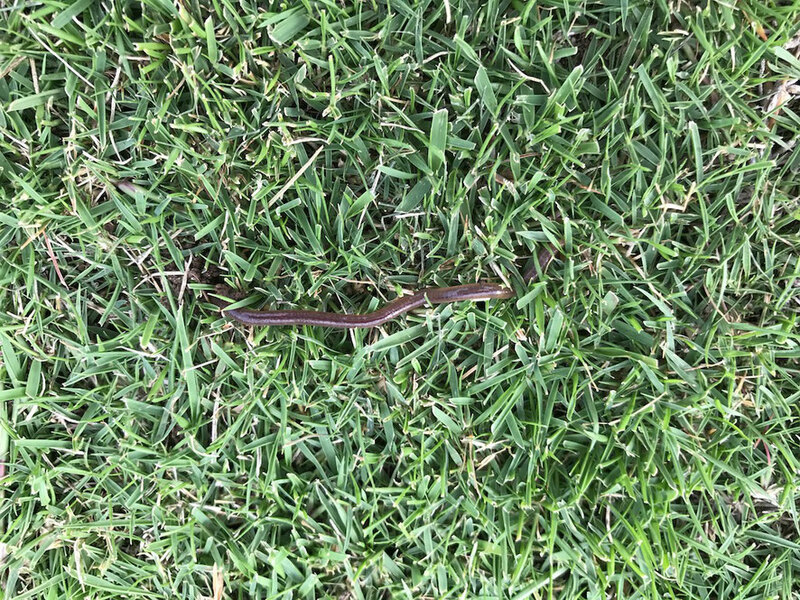 There are ant-hills and earthworms in grass courts. We can see the sea of Yugawara from tennis courts. 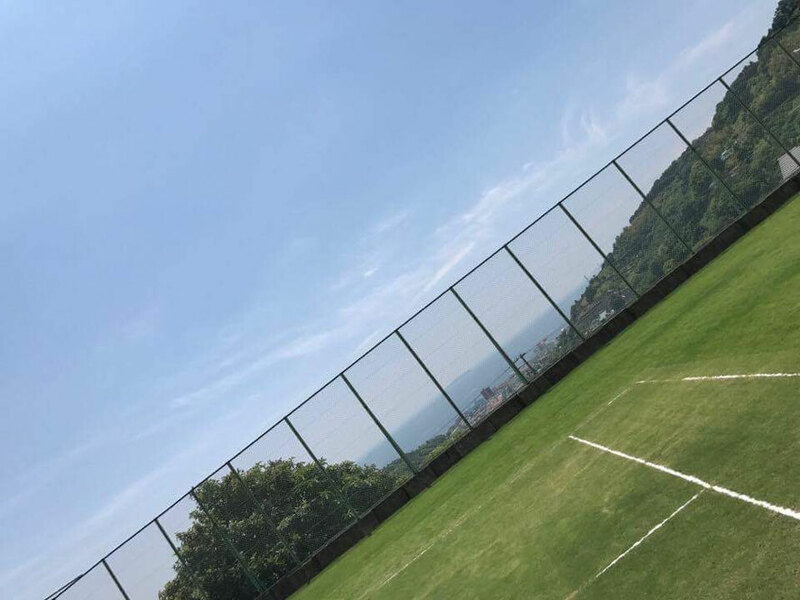 We can enjoy playing tennis seeing beautiful sea. 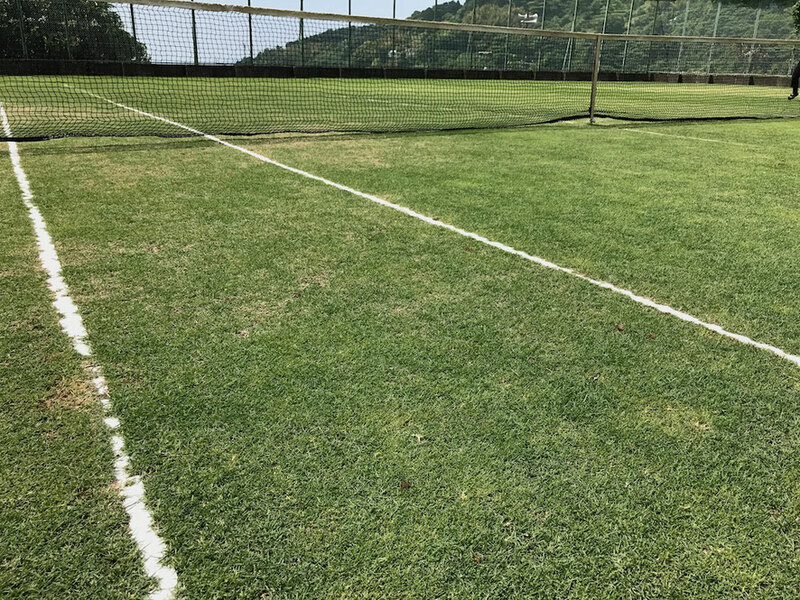 Management of grass courts is very difficult, and a manager adjusts lawn at stated periods. And the period of using grass courts is about a half of a year, and hours of using them is one or two hours a day. 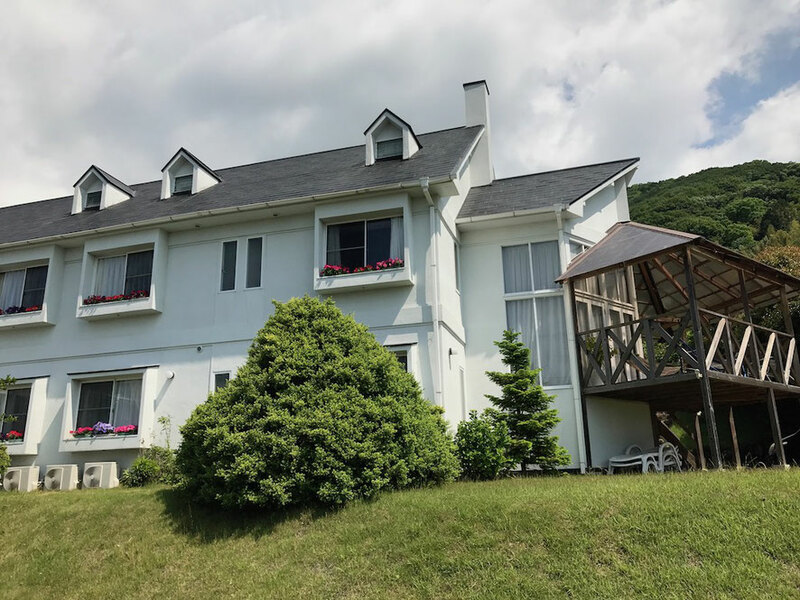 This is a beautiful building of bonnefemme. 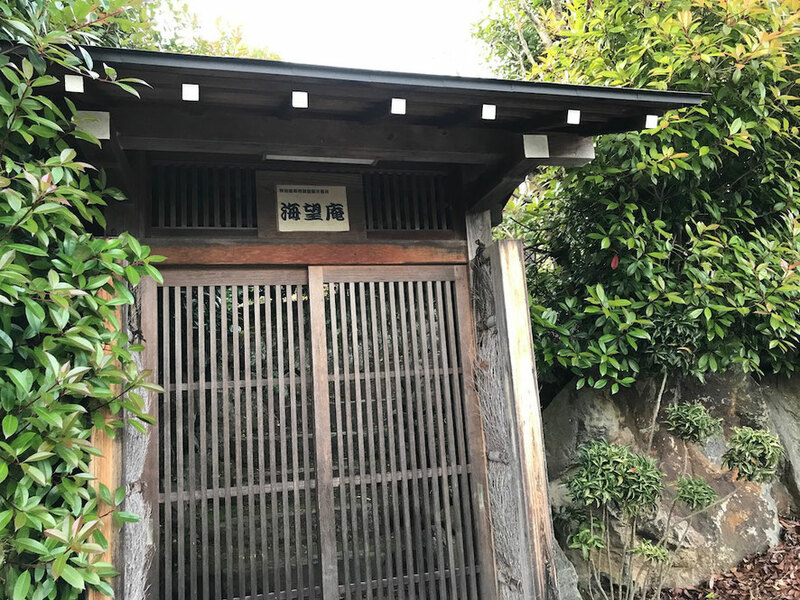 There is an open spa facing the sea of Yugawara in bonnefemme. Water of it is Yugawara hot spring. 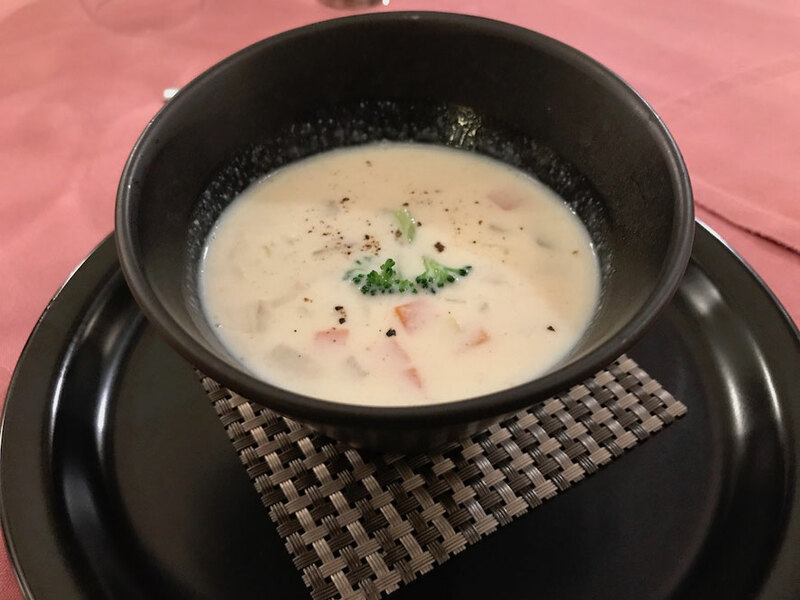 We can enjoy nice hot spring after playing tennis. 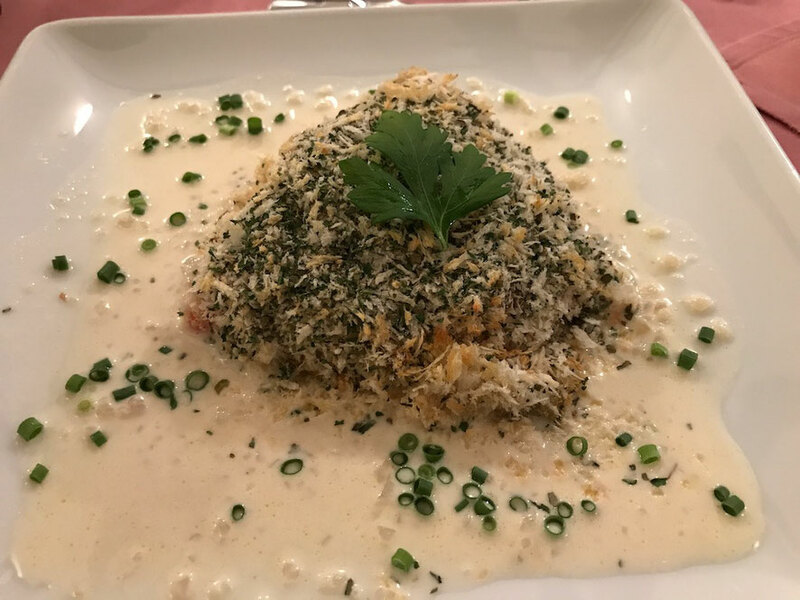 This pension serves delicious French cuisine. 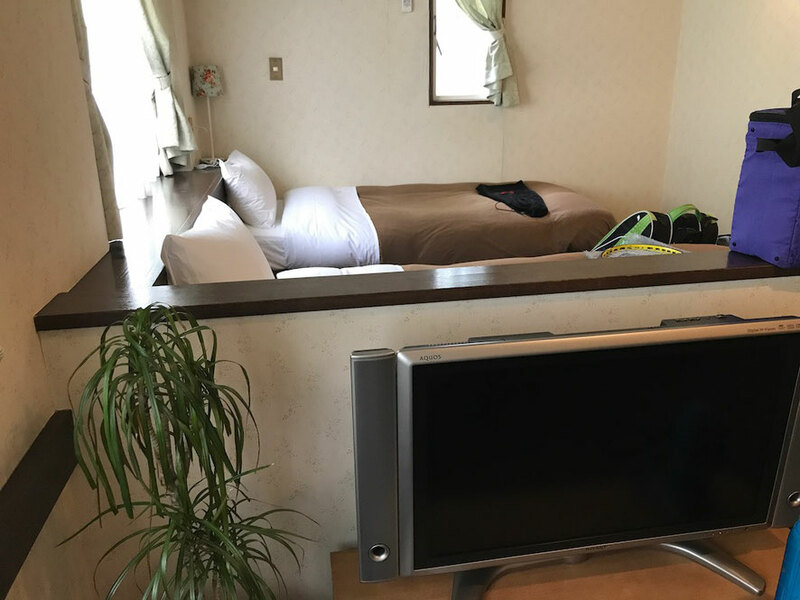 This pension is often visited by young couple. 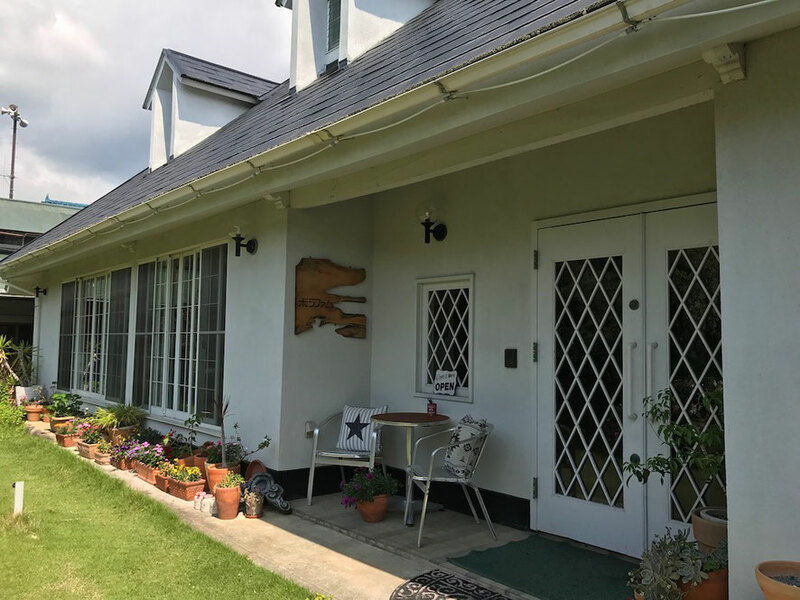 I recommend this pension to young couple who play tennis.